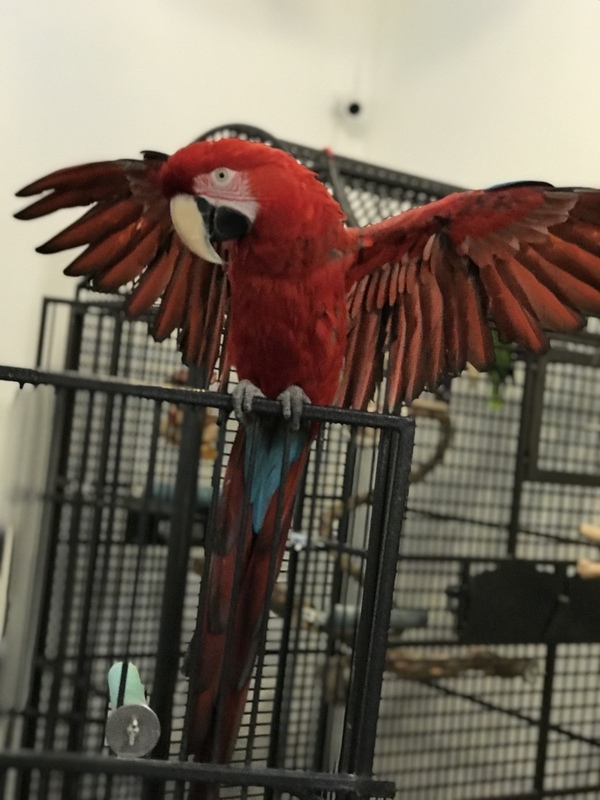 Welcome to Rhode Island Parrot Rescue - The only 501(c)3 non profit rescue in RI to focus exclusively on rescuing, rehabilitating, and re-homing exotic birds to qualified homes. Please consider making a donation so we can continue our mission to assist parrots who need a place to land through no fault of their own. Check out our Available birds on Petfinder. Click on Beaky, our tres cool Greenwing, to visit them now! 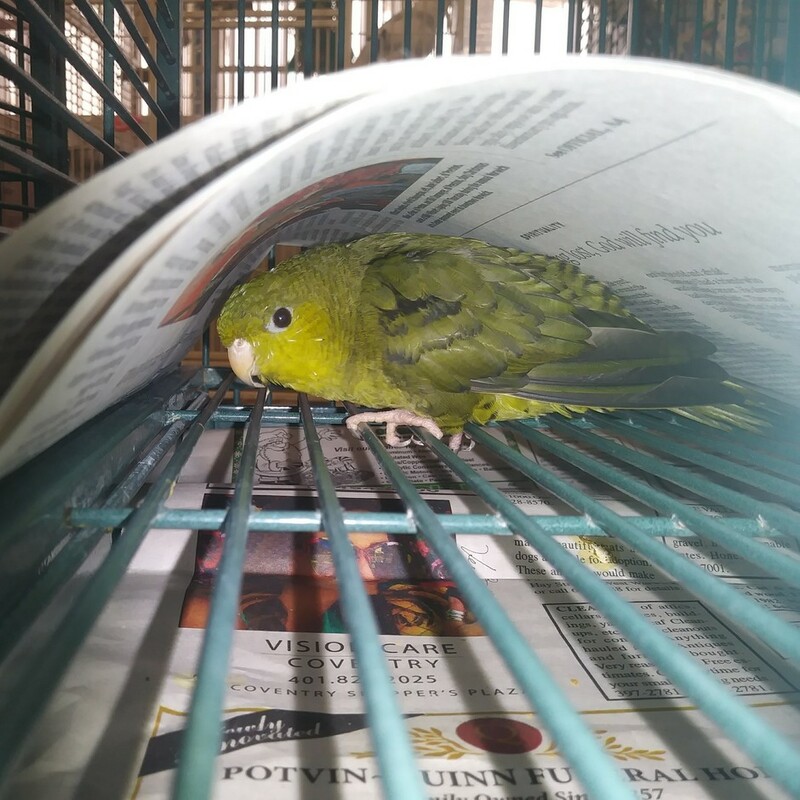 * Rescue: Birds are surrendered for a variety of reasons. Some come from loving homes and were loved enough to be surrendered. Others have been abused, neglected or their owners have become disinterested. We do not judge anyone who contacts us. We are here to make a positive difference by helping in any way we can. * Rehabilitation: Upon surrender, each bird is evaluated and encouraged to eat a healthy pellet diet along with fresh fruit and vegetables. Often, medical problems need treatment, which is provided by our avian veterinarian. * Adoption: Birds that have been rehabilitated are available for adoption. We thoroughly screen potential adoptive homes with a detailed application, interviews and home visits before any bird is released. Follow-ups are also required. * Education Services: One of our most important goals is to educate the public about exotic birds. We are available for on-site seminars and hold customized workshops at our facility. We are in operation 24 hours a day, 7 days a week. Visits are by appointment and we are funded by public and private donations. Rhode Island Parrot Rescue is a 501(c)3 non-profit organization. Your donation is tax deductible as allowed by law. RI Parrot is funded primarily by private donations and receives no government funding.